Are you tired of high server maintenance charges? Are you planning to have extensive equipment and looking for server space for Rent? Then server basket is the right place. We offer cheap colocation hosting services to any business-corporate IT companies and start-up companies. The colocation hosting services we provide are high-end performance and gives stability with 99.9% up-time. It is easily scalable and reliable, and we host Colocation Hosting Hyderabad servers at tier 4 secured data centers. We provide cheap colocation hosting services, Hyderabad where there is no compromise on the quality of datacentre. We offer 24/7 technical support to resolve any issue regarding colocation hosting on server space or hardware. We offer various colocation plans to suit your business purposes at the lowest prices. We have different colocation plans based on your requirements like Rack space, data transfer, high bandwidth and power supply ranges. We have a wide range of plans with 100% uptime, managed services, superior security and free hardware management services. We provide low-cost Colocation Hosting Hyderabad plans, low power consumption, and higher security colocation plans to expand your business. Our Tier 4 data center has multiple benefits for the users, it is planned to host computers and business analytical servers. Server basket offers, with complete redundant sub-systems such as network links, cooling, storage, and power, etc. We have assigned security zones equipped with biometric access management to our data centers for high-level security. Our Data centers are designed to provide continuous availability of services with reliability using multiple active power and cooling paths. We provide the services for the lowest possible prices, compared to any online stores. We build the quality assurance trust with the minimal cost. Are we late? 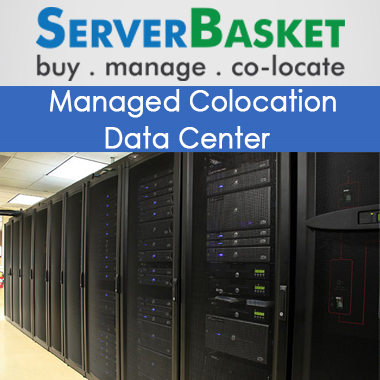 Migrate to colocation services, and enjoy the hand free maintenance, for low prices. We provide 24/7 power supplies and ample space for your servers. This will result in great uptime for your business. These are the few reasons why customers can easily rely on us. We are the most likable option for rack space colocation hosting Hyderabad services due to 100% assurance and uptime guarantee with efficient power supplies. Server Basket aims to give cheap hosting services for clients, to all type of businesses, be it small, mid-sized or an industry. We provide cheap and secured data center, where the clients can rely on us with no worries. We are one of the most trusted service providers in any aspect. Cheap means you may think it lacks on quality, but you are absolutely wrong. We provide enough rack space for your servers, and completely owned by your server, and it will not be shared with anyone. We provide high maintenance with very minimal colocation charges. We nowhere deceive our customers. We provide 24X7 support, at any point of time resolving issues at the minimal possible time. We have trained, experienced support team expertise who can assist you continually from the base. We are top most trusted service providers in Server Colocation with the wide range of data center options and service to complete your e-business demands with maximum scalability and reliability. We care for our customers and their business enhancement, we continuously keep a track on it, for secured services. Why are you late? 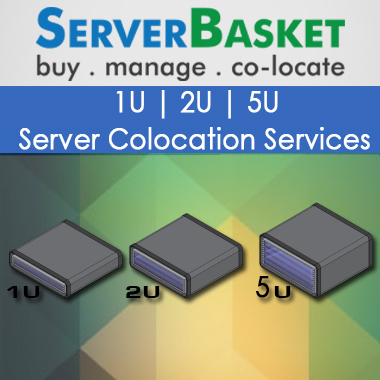 Migrate to colocation hosting services for the cheapest price from Server Basket.